Are you in Blacktown searching for an affordable professional roofing restoration service near you? Then look no further as Spectra Roof Restoration Blacktown is the perfect residential and commercial roofing service for you. With years of expertise, we are the ultimate roof painting, roof cleaning. roof repair and gutter cleaning specialists for your home and company. Whether you want a traditional paint job or want your home feeling all brand new, you’ll find a variety of options to choose from our residential, industrial and commercial roof restoration services. When you place your trust with Spectra, you’ll be making the safest and smartest choice, taking away risks from attempting to do everything yourself. Enjoy your day out at Westpoint Blacktown while we do the hard yards. Our roof painters have earned years of experience, working with all sorts of homes and buildings of all sizes and material. As professionals working at Spectra Roof Restoration Blacktown, we utilise and apply the right products for your residential, commercial or industrial area, leaving your roofs looking better than ever. We understand businesses and homes can get busy, so we aim to make it easy for you with our flexible hours. You can be assured that the job will not affect your daily activities, you’ll receive a caring and personalised customer service from our company. We will provide a smooth and durable finish to your roof painting that can withstand the local weather. 100% satisfaction guaranteed. Before we commence the painting process, a solution is used to kill off any mold, lichen and other bacteria harmful to your roof. Then we use a soft pressure wash to remove any stubborn stains. We also offer heat reflective paint, ideal for the hot Blacktown weather. The product reflects and absorbs heat, reducing your costs from other cooling methods. Are you a business owner or managing a property or just wanting a spotless roof over your home? Our Blacktown roof cleaners near you are efficient and effective at what they do, removing all the lingering stains and grime. Spectra Roof Restoration Blacktown is highly capable of cleaning local shops to large factories near you. We know that getting a roof cleaning service is not common so we make it easy for you with professional results. 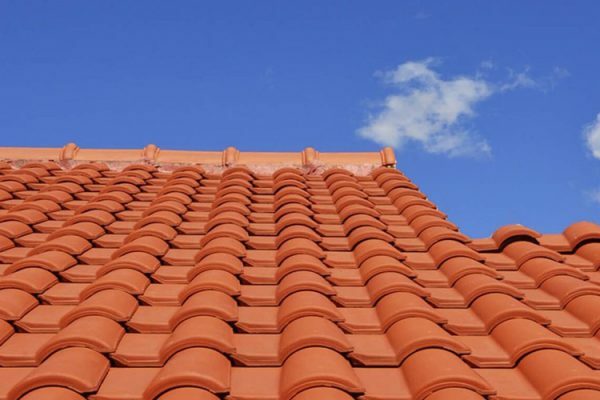 Spectra Roof Restoration Blacktown will combine our cleaning solutions and pressure washing to remove all the dirt, Whether terracotta, metal, cement or any other material. We are professional in our work, we do not cut corners or surprise you with extra hidden costs or snoopy results. We treat your business or home just like our own. Spectra Roof Restoration Blacktown not only specialises in professional roofing services but we also provide an equally exceptional gutter cleaning service near you. We utilise our years of expertise with the most appropriate procedures to efficiently clean your gutters, meticulously removing debris or natural excess cluttering your home systems. By selecting our gutter cleaning services, the minimisation of long-term damage caused by leaks or clutters will be effectively eradicated. You have the option to install gutter guards or mend any impairments to your gutters to keep from heavy water leakage and any other major or minor foreseen effects. We are able to discuss and schedule a maintenance plan for future gutter cleaning as well as provide you with a roof inspection report. With our years of experience and expertise, we promise to do the job efficiently and effectively, delivering only the best results. We are your answer to a phenomenal residential or commercial roof restoration service near you. Spectra Roof Restoration will get the job done. Call us to get a stunning new roof today!